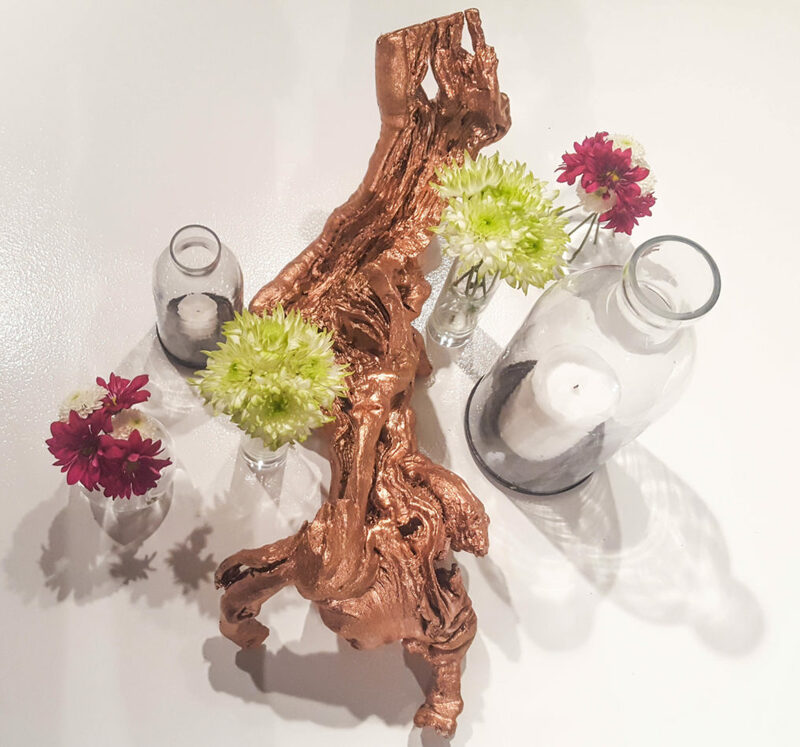 Perfect for a rustic-themed wedding, our copper driftwood centerpiece is a stunning addition to your reception tables. This unique piece comes with one small and one large milk glass vase, two roly-poly clear glass vases, and two large shot glass vases. It also comes with LED candles. These separate pieces can be arranged in many exciting ways. Add flowers to your vases to complete the look. 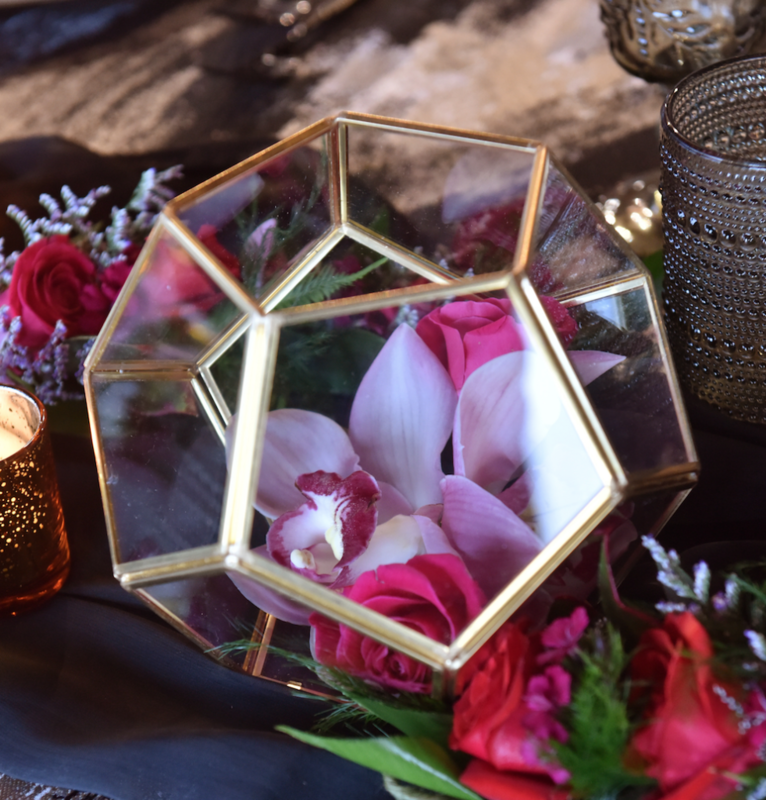 If you are looking for a smaller centerpiece, or want to incorporate an interesting element to a larger centerpiece, this gold hexagon vase is perfect. Standing at a little over eight inches tall, this stunning geometric vase is perfect for housing loose flowers, flower petals, or succulents. The geometric look is a great way to add visual interest to your tables. Add a touch of Hawaiian glam to your wedding with our golden pineapple centerpiece. 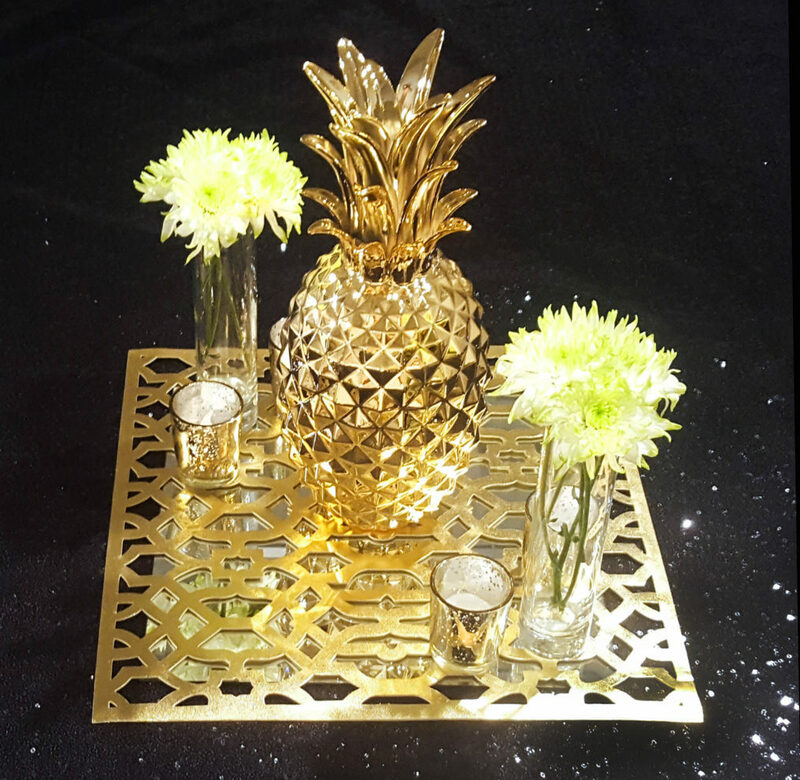 Along with the stunning pineapple, you will also get two gold votives with LED candles, two large shot glass vases, a gold cut-out square, and a mirror tile. Complete the look by adding native Hawaiian flowers to the vases. EventAccents offers a fabulous selection of wedding centerpieces in Hawaii. When you purchase more than $5,000 in furniture and décor rentals, you can receive your centerpiece rental for free. Contact our team today for more details.